This article is about the men's team. For the women's team, see France women's national football team. The France national football team (French: Équipe de France de football) represents France in international football and is controlled by the French Football Federation, also known as FFF, or in French: Fédération française de football. 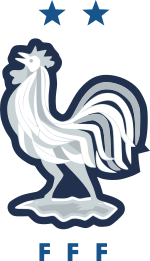 The team's colours are blue, white and red, and the coq gaulois its symbol. France are colloquially known as Les Bleus (The Blues). The French side are the reigning World Cup holders, having won the 2018 FIFA World Cup on 15 July 2018. France play home matches at the Stade de France in Saint-Denis, Paris, and their manager is Didier Deschamps. They have won two FIFA World Cups, two UEFA European Championships, two FIFA Confederations Cups and one Olympic tournament. France experienced much of its success in four major eras: in the 1950s, 1980s, late 1990s/early 2000s, and mid/late 2010s, respectively, which resulted in numerous major honours. France was one of the four European teams that participated in the inaugural World Cup in 1930 and, although having been eliminated in the qualification stage six times, is one of only three teams that have entered every World Cup qualifying cycle. In 1958, the team, led by Raymond Kopa and Just Fontaine, finished in third place at the FIFA World Cup. In 1984, France, led by Ballon d'Or winner Michel Platini, won UEFA Euro 1984 and Football at the 1984 Summer Olympics. Under the captaincy of Didier Deschamps and three-time FIFA World Player of the Year Zinedine Zidane, France won the FIFA World Cup in 1998. Two years later, the team triumphed at UEFA Euro 2000. France won the FIFA Confederations Cup in 2001 and 2003, and reached the 2006 FIFA World Cup final, which it lost 5–3 on penalties to Italy. The team also reached the final of UEFA Euro 2016, where they lost 1–0 to Portugal in extra time. France won the 2018 FIFA World Cup, defeating Croatia 4–2 in the final match on 15 July 2018. This was the second time they had won the tournament after winning it on home soil in 1998. France was the first national team that has won the three most important men's titles recognized by FIFA: the World Cup, the Confederations Cup, and the Olympic tournament after victory in the Confederations Cup in 2001. Since 2001, Argentina (after the 2004 Olympics) and Brazil (after the 2016 Olympics) are the other two national teams that have won these three titles. They have also won their respective continental championship (Copa América for Argentina and Brazil, and UEFA European Championship for France). The France national football team was created in 1904 around the time of FIFA's foundation on 21 May 1904 and contested its first official international match on 1 May 1904 against Belgium in Brussels, which ended in a 3–3 draw. The following year, on 12 February 1905, France contested their first-ever home match against Switzerland. The match was played at the Parc des Princes in front of 500 supporters. France won the match 1–0 with the only goal coming from Gaston Cyprès. Due to disagreements between FIFA and the Union des Sociétés Françaises de Sports Athlétiques (USFSA), the country's sports union, France struggled to establish an identity. On 9 May 1908, the French Interfederal Committee (CFI), a rival organization to the USFSA, ruled that FIFA would now be responsible for the club's appearances in forthcoming Olympic Games and not the USFSA. In 1919, the CFI transformed themselves into the French Football Federation (FFF). In 1921, the USFSA finally merged with the FFF. In July 1930, France appeared in the inaugural FIFA World Cup, held in Uruguay. In their first-ever World Cup match, France defeated Mexico 4–1 at the Estadio Pocitos in Montevideo. Lucien Laurent became notable in the match as he scored not only France's first World Cup goal, but the first goal in World Cup history. Conversely, France also became the first team to not score in a match after losing 1–0 to fellow group stage opponents Argentina. Another loss to Chile resulted in the team bowing out in the group stage. The following year saw the first selection of a black player to the national team. Raoul Diagne, who was of Senegalese descent, earned his first cap on 15 February in a 2–1 defeat to Czechoslovakia. Diagne later played with the team at the 1938 World Cup, alongside Larbi Benbarek, who was one of the first players of North African origin to play for the national team. At the 1934 World Cup, France suffered elimination in the opening round, losing 3–2 to Austria. On the team's return to Paris, they were greeted as heroes by a crowd of over 4,000 supporters. France hosted the 1938 World Cup and reached the quarter-finals, losing 3–1 to defending champions Italy. The 1950s saw France handed its first Golden Generation composed of players such as Just Fontaine, Raymond Kopa, Jean Vincent, Robert Jonquet, Maryan Wisnieski, Thadée Cisowski, and Armand Penverne. At the 1958 World Cup, France reached the semi-finals losing to Brazil. In the third place match, France defeated West Germany 6–3 with Fontaine recording four goals, which brought his goal tally in the competition to 13, a World Cup record. The record still stands today. France hosted the inaugural UEFA European Football Championship in 1960 and, for the second straight international tournament, reached the semi-finals. In the round, France faced Yugoslavia and were shocked 5–4 despite being up 4–2 heading into the 75th minute. In the third-place match, France were defeated 2–0 by the Czechoslovakians. The 1960s and 70s saw France decline significantly playing under several managers and failing to qualify for numerous international tournaments. On 25 April 1964, Henri Guérin was officially installed as the team's first manager. Under Guérin, France failed to qualify for the 1962 World Cup and the 1964 European Nations' Cup. The team did return to major international play following qualification for the 1966 World Cup. The team lost in the group stage portion of the tournament. Guérin was fired following the World Cup. He was replaced by José Arribas and Jean Snella, who worked as caretaker managers in dual roles. The two only lasted four matches and were replaced by former international Just Fontaine, who only lasted two. Louis Dugauguez succeeded Fontaine and, following his early struggles in qualification for the 1970 World Cup, was fired and replaced by Georges Boulogne, who could not get the team to the competition. Boulogne was later fired following his failure to qualify for the 1974 World Cup and was replaced by the Romanian Ștefan Kovács, who became the only international manager to ever manage the national team. Kovács also turned out to be a disappointment failing to qualify for the 1974 World Cup and UEFA Euro 1976. After two years in charge, he was sacked and replaced with Michel Hidalgo. 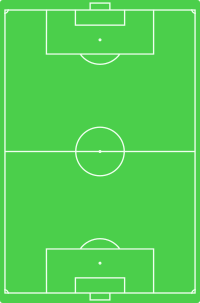 Under Hidalgo, France flourished, mainly due to the accolades of great players like defenders Marius Trésor and Maxime Bossis, striker Dominique Rocheteau and midfielder Michel Platini, who, alongside Jean Tigana, Alain Giresse and Luis Fernández formed the "carré magique" ("Magic Square"), which would haunt opposing defenses beginning at the 1982 World Cup, where France reached the semi-finals losing on penalties to rivals West Germany. The semi-final match-up is considered one of the greatest matches in World Cup history and was marred with controversy. France earned their first major international honor two years later, winning Euro 1984, which they hosted. Under the leadership of Platini, who scored a tournament-high nine goals, France defeated Spain 2–0 in the final. Platini and Bruno Bellone scored the goals. Following the Euro triumph, Hidalgo departed the team and was replaced by former international Henri Michel. France later completed the hat-trick when they won gold at the 1984 Summer Olympics football tournament and, a year later, defeated Uruguay 2–0 to win the Artemio Franchi Trophy, an early precursor to the FIFA Confederations Cup. Dominique Rocheteau and José Touré scored the goals. In a span of a year, France were holders of three of the four major international trophies. At the 1986 World Cup, France were favorites to win the competition, and, for the second consecutive World Cup, reached the semi-finals where they faced West Germany. Again, however, they lost. A 4–2 victory over Belgium gave France third place. In 1988, the FFF opened the Clairefontaine National Football Institute. Its opening ceremony was attended by then-President of France, François Mitterrand. 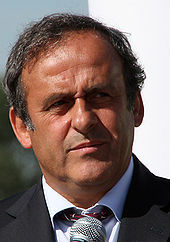 Five months after Clairefontaine's opening, manager Henri Michel was fired and was replaced by Michel Platini, who failed to get the team to the 1990 World Cup. Platini did lead the team to Euro 1992 and, despite going on a 19-match unbeaten streak prior to the competition, suffered elimination in the group stage. A week after the completion of the tournament, Platini stepped down as manager and was replaced by his assistant Gérard Houllier. Under Houllier, France and its supporters experienced a heartbreaking meltdown after having qualification to the 1994 World Cup all but secured with two matches to go, which were against last place Israel and Bulgaria. In the match against Israel, France were upset 3–2 and, in the Bulgaria match, suffered an astronomical 2–1 defeat. The subsequent blame and public outcry to the firing of Houllier and departure of several players from the national team fold. His assistant Aimé Jacquet was given his post. France starting line-up against Brazil at the 1998 FIFA World Cup Final, a match they won 3–0. Under Jacquet, the national team experienced its triumphant years. The squad composed of veterans that failed to reach the 1994 FIFA World Cup were joined by influential youngsters, such as Zinedine Zidane. The team started off well reaching the semi-finals of Euro 1996, where they lost 6–5 on penalties to the Czech Republic. In the team's next major tournament at the 1998 World Cup at home, Jacquet led France to glory defeating Brazil 3–0 in the final at the Stade de France in Paris. Jacquet stepped down after the country's World Cup triumph and was succeeded by assistant Roger Lemerre who guided them through Euro 2000. Led by FIFA World Player of the Year Zidane, France defeated Italy 2–1 in the final. David Trezeguet scored the golden goal in extra time. The victory gave the team the distinction of being the first national team to hold both the World Cup and Euro titles since West Germany did so in 1974, and it was also the first time that a reigning World Cup winner went on to capture the Euro. Following the result, the France national team was inserted to the number one spot in the FIFA World Rankings. France failed to maintain that pace in subsequent tournaments. Although, the team won the 2001 FIFA Confederations Cup, France suffered a first round elimination at the 2002 World Cup. One of the greatest shocks in World Cup history saw France condemned to a 1–0 defeat to debutantes Senegal in the opening game of the tournament. France became the second nation to be eliminated in the first round while holding the World Cup crown, the first one being Brazil in 1966. After the 2010, 2014, and 2018 World Cups, Italy, Spain, and Germany were also added to this list. After France finished bottom of the group, Lemerre was dismissed and was replaced by Jacques Santini. A full strength team started out strongly at Euro 2004, but they were upset in the quarter-finals by the eventual winners Greece. Santini resigned as coach and Raymond Domenech was picked as his replacement. France struggled in the early qualifiers for the 2006 World Cup. This prompted Domenech to persuade several past members out of international retirement to help the national team qualify, which they accomplished following a convincing 4–0 win over Cyprus on the final day of qualifying. In the 2006 World Cup final stages, France finished undefeated in the group stage portion and advanced all the way to the final defeating the likes of Spain, Brazil and Portugal en route. France played Italy in the final and, in part down to controversial disruptions in extra time that lead to captain Zinedine Zidane being sent off, failed to find a winning goal, Italy winning 5–3 on penalties to be crowned World Cup champions. France started its qualifying round for Euro 2008 strong and qualified for the tournament, despite two defeats to Scotland. France bowed out during the group stage portion of the tournament after having been placed in the group of death (which included Netherlands and Italy). Just like the team's previous World Cup qualifying campaign, the 2010 campaign got off to a disappointing start with France suffering disastrous losses and earning uninspired victories. France eventually finished second in the group and earned a spot in the UEFA play-offs against the Republic of Ireland for a place in South Africa. In the first leg, France defeated the Irish 1–0 and in the second leg procured a 1–1 draw, via controversial circumstances, to qualify for the World Cup. In the 2010 World Cup final stages, the team continued to perform under expectations and were eliminated in the group stage, while the negative publicity the national team received during the competition led to further repercussions back in France. Midway through the competition, striker Nicolas Anelka was dismissed from the national team after reportedly having a dispute, in which obscenities were passed, with team manager Raymond Domenech during half-time of the team's loss to Mexico. The resulting disagreement over Anelka's expulsion between the players, the coaching staff and FFF officials resulted in the players boycotting training before their third game. In response to the training boycott, Sports Minister Roselyne Bachelot lectured the players and "reduced France's disgraced World Cup stars to tears with an emotional speech on the eve of their final group A match". France then lost their final game 2–1 to the hosts South Africa and failed to advance. 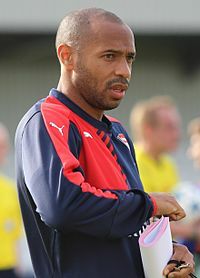 The day after the team's elimination, it was reported by numerous media outlets that then President of France Nicolas Sarkozy would meet with team captain Thierry Henry to discuss the issues associated with the team's meltdown at the World Cup, at Henry's request. Following the completion of the World Cup tournament, Federation President Jean-Pierre Escalettes resigned from his position. Domenech, whose contract already expired, was succeeded as head coach by former international Laurent Blanc. On 23 July 2010, at the request of Blanc, the FFF suspended all 23 players in the World Cup squad for the team's friendly match against Norway after the World Cup. On 6 August, five players who were deemed to have played a major role in the training boycott were disciplined for their roles. 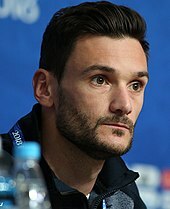 After captaining France intermittently since 2010, goalkeeper Hugo Lloris has been the French captain permanently since February 2012. At Euro 2012 in Poland and Ukraine, France reached the quarter-finals, where they were beaten by eventual champions Spain. Following the tournament, coach Laurent Blanc resigned and was succeeded by Didier Deschamps, who captained France to glory in the 1998 World Cup and Euro 2000. His team qualified for the 2014 World Cup by beating Ukraine in the playoffs, and Deschamps then extended his contract until Euro 2016. Missing star midfielder Franck Ribéry through injury, France lost to eventual champions Germany in the quarter-finals courtesy of an early goal by Mats Hummels. Paul Pogba was awarded the Best Young Player award during the tournament. France automatically qualified as hosts for Euro 2016. Benzema and Hatem Ben Arfa were not in the squad. France were drawn in Group A of the tournament alongside Romania, Switzerland and Albania. France won their group with wins over Romania and Albania and a goalless draw against Switzerland and were poised to play the Republic of Ireland in the round of sixteen. Ireland took the lead after just two minutes through a controversially awarded penalty, which was converted by Robbie Brady. A brace from Antoine Griezmann, however, helped France to win the match 2–1 and qualify for the quarter-finals, where they beat a resilient Iceland 5–2 to set up a semi-final clash against world champions and tournament co-favourites Germany. France won the match 2–0, marking their first win over Germany at a major tournament since 1958. France, however, were beaten by Portugal 1–0 in the final courtesy of an extra-time goal by Eder. Griezmann was named the Player of the Tournament and was also awarded the Golden Boot in addition to being named in the Team of the Tournament, alongside Dimitri Payet. The defeat meant that France became the second nation to have lost the final on home soil, after Portugal lost the final to Greece in 2004. France starting line-up against Croatia at the 2018 FIFA World Cup Final, a match they won 4–2. In 2018 FIFA World Cup qualifying, France topped their group with 23 points; winning 7 wins, drawing 2 and losing once, although their two draws were against considerably weaker nations, drawing 0–0 with Belarus in their opening match and against Luxembourg, failing to secure a win against the latter since 1914, nearly 103 years. Their only defeat of the qualifying phase was against Sweden; losing 2–1 in the last few minutes following an error from goalkeeper Hugo Lloris. France secured qualification to the World Cup finals with a 2–1 win over Belarus. They were drawn to play Australia, Peru and Denmark in a group in which they were considered heavy favourites. Overall, due to the strength and value of their squad, France were tipped by many as one of the favourites for the title. France, however, had a somewhat disappointing performance in the group stage, only managing a 2–1 win over Australia and a 1–0 win over Peru, followed by a match against Denmark which finished in a 0–0 draw. France beat Argentina 4–3 in the round of sixteen and then Uruguay 2–0 to qualify for the semi-final stage, where they beat Belgium 1–0 courtesy of a goal from defender Samuel Umtiti. On 15 July, France beat Croatia in the final with result 4–2 to win the World Cup for the second time. Didier Deschamps became the third man to win the World Cup as a player and a coach and also became the second man to win the title as a captain and a coach. Kylian Mbappé was awarded the Best Young Player award and Antoine Griezmann was awarded the Bronze Ball and the Silver Boot for their brilliant performance during the tournament. During France's early years, the team's national stadium alternated between the Parc des Princes in Paris and the Stade Olympique Yves-du-Manoir in Colombes. France also hosted matches at the Stade Pershing, Stade de Paris, and the Stade Buffalo, but to a minimal degree. As the years moved forward, France began hosting matches outside the city of Paris at such venues as the Stade Marcel Saupin in Nantes, the Stade Vélodrome in Marseille, the Stade de Gerland in Lyon, and the Stade de la Meinau in Strasbourg. Following the renovation of the Parc des Princes in 1972, which gave the stadium the largest capacity in Paris, France moved into the venue permanently. The team still hosted friendly matches and minor FIFA World Cup and UEFA European Football Championship qualification matches at other venues. Twice France have played home matches in a French overseas department – in 2005 against Costa Rica in Fort-de-France (Martinique) and in 2010 against China in Saint Denis (Réunion). Both matches were friendlies. In 1998, the Stade de France was inaugurated as France's national stadium ahead of the 1998 World Cup. Located in Saint-Denis, a Parisian suburb, the stadium has an all-seater capacity of 81,338. France's first match at the stadium was played on 28 January 1998 against Spain. France won the match 1–0, with Zinedine Zidane scoring the lone goal. Since that match, France has used the stadium for almost every major home game, including the 1998 World Cup final. Prior to matches, home or away, the national team trains at the INF Clairefontaine academy in Clairefontaine-en-Yvelines. Clairefontaine is the national association football centre and is among 12 élite academies throughout the country. The centre was inaugurated in 1976 by former FFF president Fernand Sastre and opened in 1988. The center drew media spotlight following its usage as a base camp by the team that won the 1998 World Cup. In the 20th and 23rd minute of an international friendly on 13 November 2015, against Germany, three groups of terrorists attempted to detonate bomb vests, at three entrances of Stade de France, and two explosions occurred. Play would continue, until the 94th minute, in order to keep the crowd from panicking. Consequently, the stadium was evacuated through the unaffected gates of the stadium away from the players benches. Due to the blocked exits, spectators who could not leave the stadium had to go down to the pitch and wait until it was safer. The national team has a broadcasting agreement with TF1 Group, who Federal Council]] of the FFF agreed to extend its exclusive broadcasting agreement with the channel. The new deal grants the channel exclusive broadcast rights for the matches of national team, which include friendlies and international games for the next four seasons beginning in August 2010 and ending in June 2014. TF1 will also have extended rights, notably on the Internet, and may also broadcast images of the national team in its weekly program, Téléfoot. The FFF will receive €45 million a season, a €10 million decrease from the €55 million they received from the previous agreement reached in 2006. After France wins the second world championship in 2018, M6 together with TF1 broadcast all international fixtures featuring France respectively until 2022. France's Zinedine Zidane number 10 home shirt, as made by Adidas. 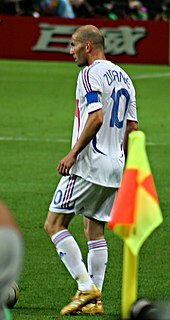 Wikimedia Commons has media related to France national football team kits. The France national team utilizes a three colour system composed of blue, white and red. The team's three colours originate from the national flag of France, known as the tricolore. France have brandished the colors since their first official international match against Belgium in 1904. Since the team's inception, France normally wear blue shirts, white shorts and red socks at home (similar setup to Japan), while, when on the road, the team utilizes an all-white combination or wear red shirts, blue shorts, and blue socks with the former being the most current. Between 1909–1914, France wore a white shirt with blue stripes, white shorts, and red socks. In a 1978 World Cup match against Hungary in Mar del Plata, both teams arrived at Estadio José María Minella with white kits, so France played in green-and-white striped shirts borrowed from Club Atlético Kimberley. Beginning in 1966, France had its shirts made by Le Coq Sportif until 1971. In 1972, France reached an agreement with German sports apparel manufacturer Adidas to be the team's kit provider. Over the next 38 years, the two would maintain a healthy relationship with France winning Euro 1984, the 1998 World Cup and Euro 2000 while wearing Adidas' famous tricolour three stripes. During the 2006 World Cup, France wore an all-white change strip in all four of its knockout matches, including the final. On 22 February 2008, the FFF announced that they were ending their partnership with Adidas and signing with Nike, effective 1 January 2011. The unprecedented deal was valued at €320 million over seven years (1 January 2011 – 9 July 2018), making France's blue shirt the most expensive ever in the history of football. The first France kit worn in a major tournament produced by Nike was the Euro 2012 strip, which was all dark blue and used gold as an accent colour. In February 2013, Nike revealed an all baby blue change strip. In advance of France's hosting of Euro 2016, Nike unveiled a new, unconventional kit set: blue shirts and shorts with red socks at home, white shirts and shorts and with blue socks away. The away shirt as worn in pre-Euro friendlies and released to the public also featured one blue sleeve and one red sleeve in reference to the "tricolore". However, due to UEFA regulations, France was forced to wear a modified version with the sleeve colours almost desaturated in their Euro 2016 group stage game against Switzerland, which continued to be worn during 2018 World Cup qualifying. The crest of Les Bleus following their second FIFA World Cup victory. France is often referred to by the media and supporters as Les Bleus (The Blues), which is the nickname associated with all of France's international sporting teams due to the blue shirts each team incorporates. The team is also referred to as Les Tricolores or L'Equipe Tricolore (The Tri-color Team) due to the team's utilization of the country's national colors: blue, white, and red. During the 1980s, France earned the nickname the "Brazilians of Europe" mainly due to the accolades of the "carré magique" ("Magic Square"), who were anchored by Michel Platini. Led by coach Michel Hidalgo, France exhibited an inspiring, elegant, skillful and technically advanced offensive style of football, which was strikingly similar to their South American counterparts. The France national team has long reflected the ethnic diversity of the country. Already in its first decades, there were in the France national team players that were considered of non-"genuinely" French origin, being descendants of immigrants of former colonies of the French Colonial Empire or of European countries neighboring France. The first black player to play in the national team was Raoul Diagne in 1931. Diagne was the son of the first African elected to the French National Assembly, Blaise Diagne. Seven years later, Diagne played on the 1938 FIFA World Cup team that featured Michel Brusseaux, the second footballer of North African descent to play for the national team (after Abdelkader Ben Bouali who was selected to play against Ireland in 1937). At the 1958 World Cup, in which France reached the semi-finals, many sons of immigrants (such as Raymond Kopa, Just Fontaine, Roger Piantoni, Maryan Wisnieski and Bernard Chiarelli) were integral to the team's success. The tradition has since continued, with successful French players such as Michel Platini, Jean Tigana, Manuel Amoros, Eric Cantona, Zinedine Zidane, Patrick Vieira, David Trezeguet, Claude Makelele, Samir Nasri, Hatem Ben Arfa, Karim Benzema, and Kylian Mbappé all having either one or both of their parents foreign-born. During the 1990s, the team was widely celebrated as an example of the modern multicultural French ideal. The 1998 World Cup-winning team was celebrated and praised for inspiring pride and optimism about the prospects for the "French model" of social integration. Of the 23 players on the team, the squad featured players who could trace their origins to Armenia, Algeria, Guadeloupe, New Caledonia, Argentina, Ghana, Senegal, Italy, French Guiana, Portugal and Martinique, with the patriarch of the team being Zinedine Zidane, who was born in Marseille to Algerian immigrants. France v Belarus at the Stade de France in October 2017. The multiracial makeup of the team has, at times, provoked controversy. In recent years, critics on the far right of the French political spectrum have taken issue with the proportional under-representation of ethnic white Frenchmen within the team. National Front politician Jean-Marie Le Pen protested in 1998 that the Black, Blanc, Beur team that won the World Cup did not look sufficiently French. In 2002, led by Ghanaian-born Marcel Desailly, the French team unanimously and publicly appealed to the French voting public to reject the presidential candidacy of Le Pen and, instead, return President Jacques Chirac to office. In 2006, Le Pen resumed his criticism charging that coach Raymond Domenech had selected too many black players. In 2005, French-Jewish conservative writer Alain Finkielkraut caused controversy by punning to the Israeli newspaper Haaretz that despite its earlier slogan, "the French national team is in fact black-black-black," and also adding that, "France is made fun of all around Europe because of that." He later apologized for the comments declaring that they were not meant to be offensive. France lining up before a friendly against Russia in 2018. The socio-ethnic divide between the public and the team reached a climax during the 2010 World Cup. Once in South Africa, the team did not manage to score a goal in their first two matches, leaving almost no chance of going through save an exceptional win over hosts South Africa. Thereafter, the players went on strike because of what they saw as mismanagement of the Nicolas Anelka case. Anelka had been forced to depart after a slur that leaked to the press. Players said he was misquoted, and complained of the alleged leaker from the staff, the media, and the federation. Instead of training, coach Raymond Domenech read the players' petition live on television to the stunned journalists. The national team's overall impact on France's efforts to integrate its minorities and come to terms with its colonial past has been mixed. In 2001, France played a friendly match at the Stade de France, the site of its 1998 World Cup triumph, against Algeria. It was the country's first meeting with its former colony, with whom it had fought a war from 1954 to 1962, and it proved controversial. France's national anthem, La Marseillaise, was booed by Algerian supporters before the game, and following a French goal that made the score 4–1 in the second half, spectators ran onto the field of play, which caused play to be suspended. It was never resumed. In April 2011, the French investigative website Mediapart released a story which claimed that the FFF had been attempting to secretly put in place a quota system in order to limit the number of dual-citizenship players in its national academies. Quoting a senior figure in the FFF, the organization was said to have wanted to set a cap of 30% on the number of players of dual-nationality by limiting places in the academies in the 12–13 age bracket. The FFF responded by releasing a public statement on its website denying the report, stating, "[N]one of its elected bodies has been validated, or even contemplated a policy of quotas for the recruitment of its training centers." The FFF also announced that it had authorized a full investigation into the matter and, as a result, suspended National Technical Director François Blaquart pending the outcome of the investigation. Former national team player Lilian Thuram said of the allegations, "Initially I thought this was a joke. I'm so stunned I don't know what to say," while Patrick Vieira declared that comments allegedly made by manager Laurent Blanc at the meeting were "serious and scandalous". The French government also weighed in on the issue, as then President Nicolas Sarkozy was quoted as being "viscerally opposed to any form of quota", while adding "setting quotas would be the end of the Republic". Following the investigation, Blanc was cleared of any wrongdoing. Deschamps, the current manager of the France national football team. The following players were called up for UEFA Euro 2020 qualifying games against Moldova and Iceland on 22 March and 25 March 2019. Caps and goals as of 25 March 2019 after the match against Iceland. The following players have been called up for France squad within the past 12 months. For single-match results of the national team, see French football single-season articles and the team's results page. France was one of the four European teams that participated at the inaugural World Cup in 1930 and have appeared in 14 FIFA World Cups, tied for sixth-best. The national team is one of eight national teams to have won at least one FIFA World Cup title. The France team won their first World Cup title in 1998. The tournament was played on home soil and France defeated Brazil 3–0 in the final match. In 2006, France finished as runners-up losing 5–3 on penalties to Italy. The team has also finished in third place on two occasions in 1958 and 1986 and in fourth place once in 1982. The team's worst results in the competition were first-round eliminations in 2002 and 2010. In 2002, the team suffered an unexpected loss to Senegal and departed the tournament without scoring a goal, while in 2010, a French team torn apart by conflict between the players and staff lost two of three matches and drew the other. In 2014, France advanced to the quarterfinal before losing to the eventual champion, Germany, 1–0. In 2018, France defeated Croatia 4–2 in the final match and won the World Cup for the second time. **Red border indicates tournament was held on home soil. France is one of the most successful nations at the UEFA European Championship having won two titles in 1984 and 2000. The team is just below Spain and Germany who have won three titles each. France hosted the inaugural competition in 1960 and have appeared in nine UEFA European Championship tournaments, tied for fourth-best. The team won their first title on home soil in 1984 and were led by Ballon d'Or winner Michel Platini. In 2000, the team, led by FIFA World Player of the Year Zinedine Zidane, won its second title in Belgium and the Netherlands. The team's worst result in the competition was a first-round elimination in 1992 and 2008. France have appeared in two of the eight FIFA Confederations Cups contested and won the competition on both appearances. The team's two titles place in second place only trailing Brazil who have won four. France won their first Confederations Cup in 2001 having appeared in the competition as a result of winning the FIFA World Cup in 1998. The team defeated Japan 1–0 in the final match. In the following Confederations Cup in 2003, France, appearing in the competition as the host country, won the competition beating Cameroon 1–0 after extra time. *Draws include knockout matches decided by penalty shootout. Lilian Thuram is the most capped player in the history of France with 142 caps. Hugo Lloris has the most caps among active players with 110. Highlighted names denote a player still playing or available for selection. Thierry Henry is the top scorer in the history of France with 51 goals. Olivier Giroud is the top scorer among active players with 35 goals. ^ The other two being United States (withdrawing in 1938 without actually playing any match) and Brazil (reaching the finals tournament each time). ^ "– France on". FIFA. Retrieved 7 June 2012. ^ "– Tournaments". FIFA. Retrieved 7 June 2012. ^ "France v. Belgium 1904 Match Report". French Football Federation. Retrieved 4 June 2010. ^ "France v. Germany 1982 Match Report". French Football Federation. Retrieved 4 June 2010. ^ "Romania 0-0 France: France failed to score in their opening Euro 2008 game against Romania which could leave them with an uphill task to qualify from Group C." BBC Sport. 9 June 2008. ^ "France 0-2 Italy & Netherlands 2-0 Romania". BBC. 17 June 2008. Retrieved 12 October 2018. ^ "Hand of Henry Sends France to South Africa". New York Times. 18 November 2009. Retrieved 12 October 2018. ^ "Communiqué de la Fédération". French Football Federation. fff.fr. 19 June 2010. Retrieved 21 June 2010. ^ "World Cup 2010: Nicolas Anelka sent home after bust-up". The Guardian. UK. 19 June 2010. Retrieved 19 June 2010. ^ "French football in chaos after players' mutiny". Agence France Press. Google. 20 June 2010. Retrieved 21 June 2010. ^ "Brazil advances, Italy held to another WCup draw". Google. Associated Press. 20 June 2010. Retrieved 21 June 2010. ^ "Communiqué de la FFF". French Football Federation. France Football Federation. 20 June 2010. Retrieved 21 June 2010. ^ Kim Willsher (23 June 2010). "Sarkozy to quiz Thierry Henry over French World Cup fiasco". The Guardian. UK. ^ "France World Cup squad suspended for Norway friendly". BBC Sport. 23 July 2010. Retrieved 24 July 2010. ^ "Nicolas Anelka laughs at 'nonsense' 18-match French ban". BBC Sport. 18 August 2010. Retrieved 18 August 2010. ^ Davies, Lizzy (17 August 2010). "Nicolas Anelka suspended for 18 matches by France over World Cup revolt". The Guardian. UK. Retrieved 18 August 2010. ^ uefa.com. "UEFA EURO 2012 - History - Standings – UEFA.com". UEFA.com. Retrieved 2018-07-12. ^ "Spain 2-0 France". BBC Sport. 2012-06-23. Retrieved 2018-07-12. ^ "Didier Deschamps appointed new France manager". BBC Sport. 2012-07-08. Retrieved 2018-07-12. ^ By. "Deschamps appointed France coach - CNN". CNN. Retrieved 2018-07-12. ^ "France 3-0 Ukraine (agg 3-2)". BBC Sport. 2013-11-19. Retrieved 2018-07-12. ^ Doyle, Paul (2014-06-06). "Franck Ribéry ruled out of the World Cup". the Guardian. Retrieved 2018-07-12. ^ Hytner, David (2014-07-04). "France 0-1 Germany | World Cup quarter-final match report". the Guardian. Retrieved 2018-07-12. ^ FIFA.com. "2018 FIFA World Cup Russia™ - News - Pogba wins Hyundai Young Player Award - FIFA.com". www.fifa.com. Retrieved 2018-07-12. ^ UEFA.com. "France chosen to host EURO 2016". UEFA.com. Retrieved 2018-07-12. ^ sport, Guardian (2016-04-13). "Karim Benzema will not be selected by France for Euro 2016". the Guardian. Retrieved 2018-07-12. ^ Sport, Telegraph (2016-04-13). "Karim Benzema axed from France Euro 2016 squad". The Telegraph. ISSN 0307-1235. Retrieved 2018-07-12. ^ uefa.com. "UEFA EURO 2016 - History - Standings – UEFA.com". UEFA.com. Retrieved 2018-07-12. ^ "France 2-1 Romania: Dimitri Payet scores spectacular late winner". Mail Online. Retrieved 2018-07-12. ^ "France 2-0 Albania: MATCH REPORT". Mail Online. Retrieved 2018-07-12. ^ "Switzerland 0-0 France". BBC Sport. 2016-06-19. Retrieved 2018-07-12. ^ "France 2-1 Republic of Ireland". BBC Sport. 2016-06-26. Retrieved 2018-07-12. ^ "France 5-2 Iceland: Hosts romp into Euro 2016 semi-finals". Sky Sports. Retrieved 2018-07-12. ^ "France 5-2 Iceland". BBC Sport. 2016-07-03. Retrieved 2018-07-12. ^ "Germany 0-2 France: Antoine Griezmann's double sees Didier Deschamps' side into Euro 2016 final". Sky Sports. Retrieved 2018-07-12. ^ Bakowski, Gregg (2016-07-07). "Germany 0-2 France: Euro 2016 semi-final – as it happened". The Guardian. ISSN 0261-3077. Retrieved 2018-07-12. ^ "Portugal 1-0 France (AET)". BBC Sport. 2016-07-11. Retrieved 2018-07-12. ^ Smyth, Rob (2016-07-10). "Portugal 1-0 France: Euro 2016 final – as it happened". The Guardian. ISSN 0261-3077. Retrieved 2018-07-12. ^ uefa.com (2016-07-10). "UEFA EURO 2016 - History - Portugal-France – UEFA.com". Uefa.com. Retrieved 2018-07-12. ^ "Euro 2016 News: Griezmann wins Euro 2016 best player award | Goal.com". Retrieved 2018-07-12. ^ uefa.com. "UEFA EURO 2016 - History - Statistics – UEFA.com". UEFA.com. Retrieved 2018-07-12. ^ FIFA.com. "2018 FIFA World Cup Russia™ - Qualifiers - Europe - FIFA.com". FIFA.com. Retrieved 2018-07-12. ^ "Belarus 0-0 France: Deschamps' men fail to impress". Mail Online. Retrieved 2018-07-12. ^ "France 0-0 Luxembourg". BBC Sport. 2017-09-04. Retrieved 2018-07-12. ^ "Sweden 2-1 France: Hugo Lloris costs Les Bleus with moment of madness". Mail Online. Retrieved 2018-07-12. ^ "France 2-1 Belarus: Antoine Griezmann and Olivier Giroud score in win". Sky Sports. Retrieved 2018-07-12. ^ FIFA.com. "2018 FIFA World Cup Russia™ - FIFA.com". www.fifa.com. Retrieved 2018-07-12. ^ "SWC favourites France in 'easy' Group C". Sport. Retrieved 2018-07-12. ^ "World Cup 2018 odds: Brazil the favorite, followed by Germany, Spain and France". CBSSports.com. Retrieved 2018-07-12. ^ "Subscribe to read". Financial Times. Retrieved 2018-07-12. ^ "World Cup final odds, lines: France the favorite to win it all over Croatia on Sunday". CBSSports.com. Retrieved 2018-07-12. ^ "France 2-1 Australia: VAR to the fore as Paul Pogba decides World Cup Group C clash". Sky Sports. Retrieved 2018-07-12. ^ "France 1-0 Peru: Mbappe makes history but La Blanquirroja crash out". Evening Standard. Retrieved 2018-07-12. ^ "France 1-0 Peru: Five things we learned as Kylian Mbappe becomes France's youngest goalscorer at a major tournament". i. 2018-06-21. Retrieved 2018-07-12. ^ McDonnell, David (2018-06-26). "Denmark 0-0 France: Both sides booed off after first goalless draw of World Cup". mirror. Retrieved 2018-07-12. ^ FIFA.com. "2018 FIFA World Cup Russia™ - Matches - France - Argentina - FIFA.com". www.fifa.com. Retrieved 2018-07-12. ^ "World Cup 2018: France beat Uruguay 2-0 to reach semi-final". BBC Sport. 2018-07-06. Retrieved 2018-07-12. ^ "France 1-0 Belgium: Samuel Umtiti heads Les Bleus into World Cup final". Mail Online. Retrieved 2018-07-12. ^ "France win World Cup 2018 final in breathless six-goal thriller against Croatia - live reaction". www.telegraph.co.uk. Retrieved 2018-07-15. ^ "Didier Deschamps becomes a World Cup legend: France boss the second man to win a World Cup as captain and coach". London Evening Standard. Retrieved 16 July 2018. ^ "Golden consolation for magical Modric". FIFA.com. Retrieved 16 July 2018. ^ "TF1, diffuseur exclusif des matches de l'Equi..." Investegate. 18 December 2009. Retrieved 4 June 2010. ^ "TF1 restera le diffuseur de l'équipe de France de football entre 2010 et 2014". Sport24. 18 December 2009. Retrieved 4 June 2010. ^ @SachaNoko, Sacha Nokovitch. "TF1 confirme le partage des Bleus avec M6". L'ÉQUIPE (in French). Retrieved 2018-10-20. ^ Murray, Scott (21 May 2010). "The Joy of Six: Things we miss about the World Cup". The Guardian. UK. Retrieved 21 May 2010. ^ "FIFA World Cup 2006 Knock Out Stages". Historical Football Kits. Retrieved 19 April 2013. ^ "Nike prochain équipementier". L'Equipe. 22 February 2008. Archived from the original on 21 February 2010. Retrieved 4 June 2010. ^ "You Are All Invited to the France-Nike Wedding, the Couple is Registered for €320m". Soccer Lens. 22 February 2008. Retrieved 4 June 2010. ^ "2012 UEFA European Football Championship". Historical Football Kits. Retrieved 19 April 2013. ^ "France Back in Infamous Euro 2016 Away Kit vs Netherlands". Footy Headlines. 10 October 2016. Retrieved 22 December 2016. ^ "One-On-One: Michel Platini". FourFourTwo. Retrieved 4 June 2010. ^ Marcotti, Gabriele (1 March 2010). "Wider view of France '98 gives Emmanuel Petit opportunity to look back in anger". The Times. UK. Retrieved 27 July 2010. ^ "France's multicultural World Cup-winning team (1998) achieved little for integration". United for Peace of Pierce County. 11 November 2005. Retrieved 28 July 2010. ^ "The Sword is Mightier than Le Pen". ESPN. 7 July 2006. Retrieved 17 August 2006. ^ "Finkielkraut sur Europe 1". Le Nouvel Observateur. France. 25 November 2005. Archived from the original on 12 March 2007. Retrieved 25 November 2005. ^ "French football body to investigate 'race quota' claim". BBC. 30 April 2011. Retrieved 9 May 2011. ^ "Le staff des Bleus". French Football Federation (in French). 5 August 2010. Retrieved 10 June 2018. ^ "Dernière sélection". French Football Federation (in French). 8 November 2018. Retrieved 8 November 2018. ^ "Senegal stun France". British Broadcasting Corporation. 31 May 2002. Retrieved 24 June 2010. ^ "Dismal France eliminated from World Cup". Cable News Network. 22 June 2010. Retrieved 25 June 2010. ^ Butterworth, Liam (15 July 2018). "World Cup: France beats Croatia 4-2 to become world champion for a second time". ABC News. Retrieved 16 July 2018. Wikimedia Commons has media related to France national association football team.